WCI recently concluded our inaugural Girls Advocacy and Leadership Series (GALS) in Kisumu, Kenya! Last summer, the Founder of Women in Sustainable Enterprises (WISE)-Kenya, Caroline Odera, stayed with WCI during her professional development experience component of the Mandela Washington Fellowship. This summer, WCI's Executive Manager, Brynn MacDougall, traveled to work with WISE under the Reciprocal Exchange component of the Fellowship. We are so excited to continue our relationship and empower girls in Kisumu! Through our 1-week pilot program, WCI and WISE empowered 60 girls with the skills and confidence to be leaders. Our workshops focused on conflict resolution, personal power, sexual health, communications, leadership, self-esteem, positive body image and advocacy. Diversity, strong women in history, the SDGs (UNDP Sustainable Development Goals), the power of storytelling and career planning resources were also distributed and discussed. Check out some of our program results! “[Because of GALS] I can believe in myself to stand firm, both in my words and my thoughts, without fearing anyone. Next up? We're connecting our Kenyan gals with our gals in Philadelphia to initiate cross-cultural friendships via letter writing and Skype! We can't wait to tell you more! 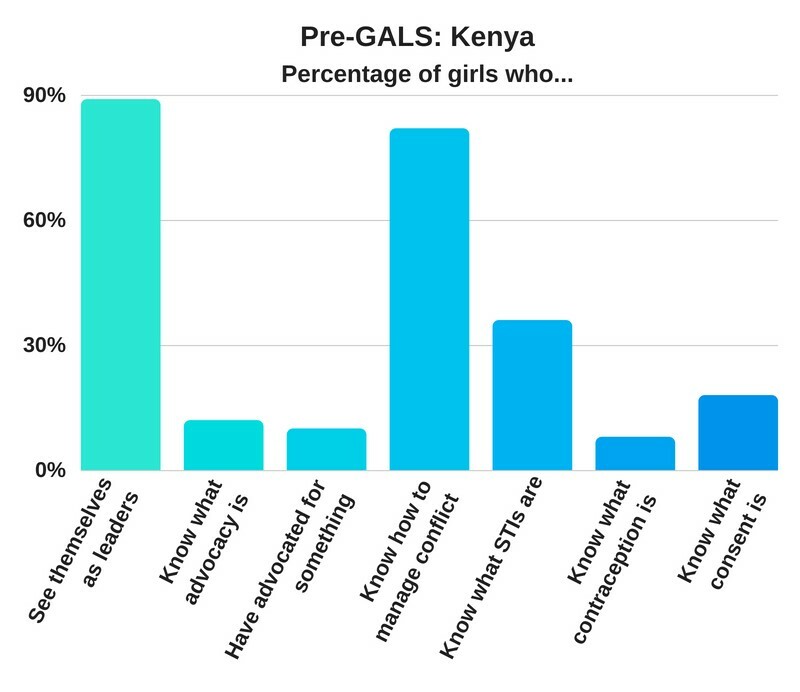 We are looking to continue to grow our GALS: Kenya program to empower more girls in Kisumu. Stay tuned!